A single mum from Fort Worth Texas proved that mums can do it all. They can work, raise kids and literally be mum and dad at the same time. Or dress up like dad at any rate. 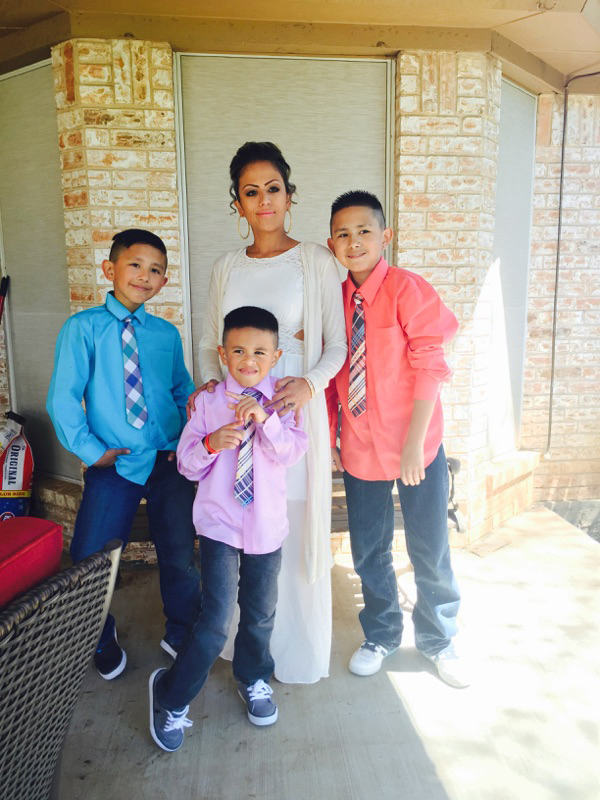 Yevette Vasquez is a single mum of three boys, having divorced their father when he was sent to jail. On 1 September, she was dropping her son, 12-year-old Elijah off at school when she noticed more cars in the carpark than normal. Vasquez joked that if Elijah had told her about the event, she would have dressed up as a dad. To her surprise, Elijah was keen and encouraged her, saying, “Well, mom, we got [sic]10 minutes before the bell rings!” Vasquez decided to follow through when she saw how excited he was. The pair drove back home and Vasquez did a wardrobe switch. According to her Facebook profile, Vasquez is normally immaculately made up and very feminine, but her ensemble of a plaid shirt, baseball cap and stick-on moustache made her into a very charming dad. 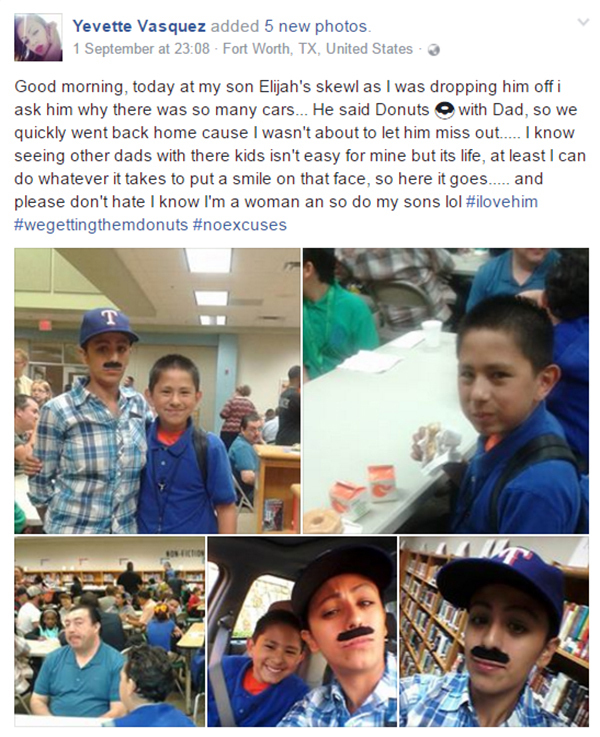 At the event, the dads cheered for Vasquez, and Elijah was also pleased. They shared photos on Facebook, and as of this morning, the post has had 18,000 reactions, and 6110 shares. Commenters were unanimously supportive. Some tagged news organisations like the Today Show, while others commended her strength.